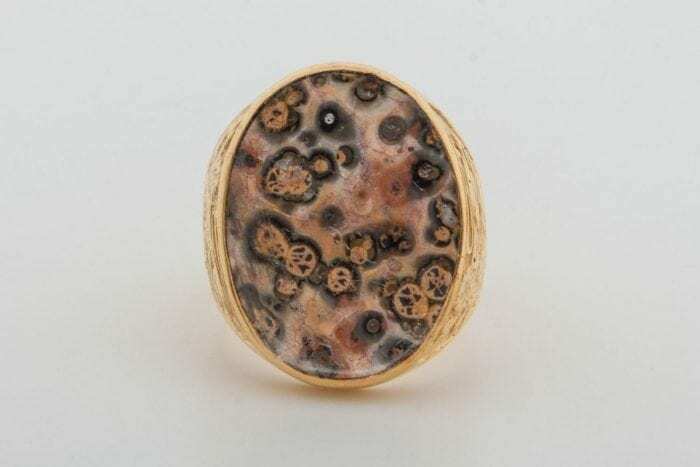 A wonderful jasper leopard spot ring gold plated (5 Microns 18K Gold) sterling silver with England’s three lions on the ring shoulders. 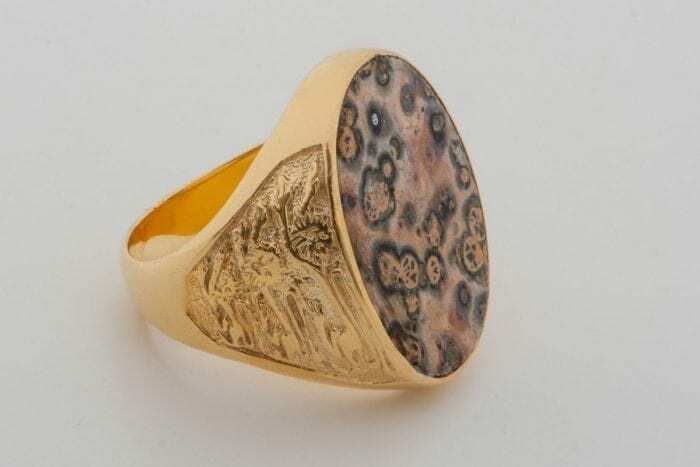 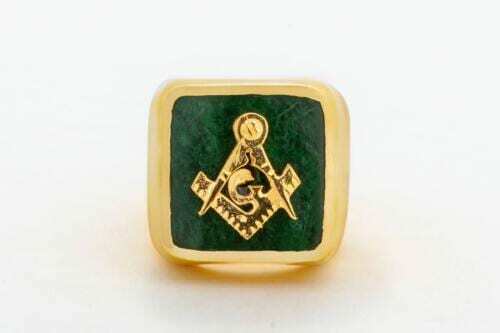 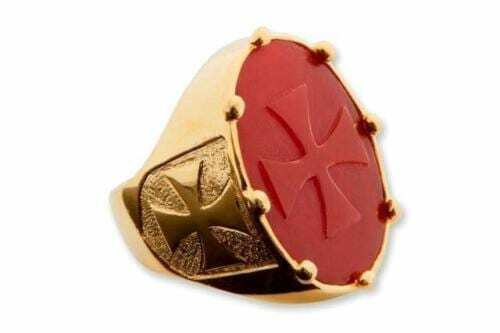 A LARGE BOLD VERY STRIKING RING–VERY INTERESTING—-UNUSUAL! 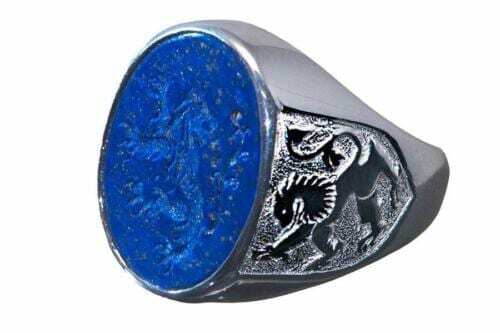 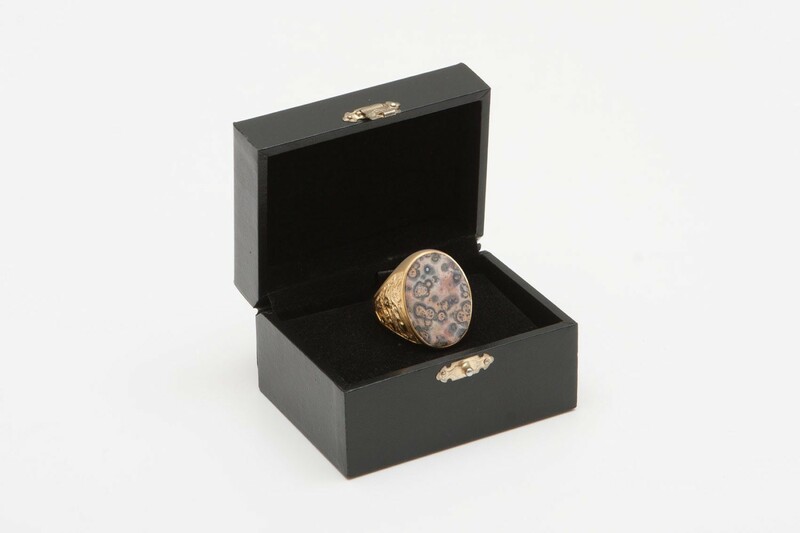 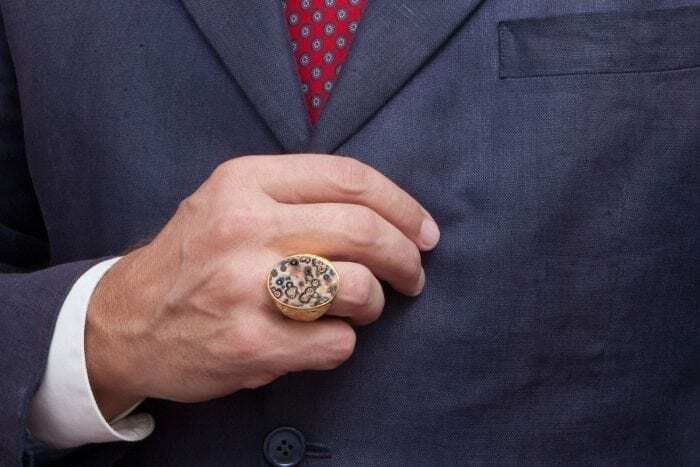 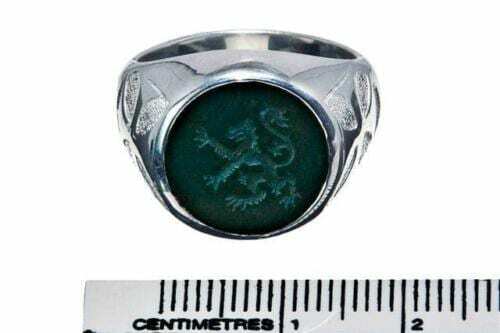 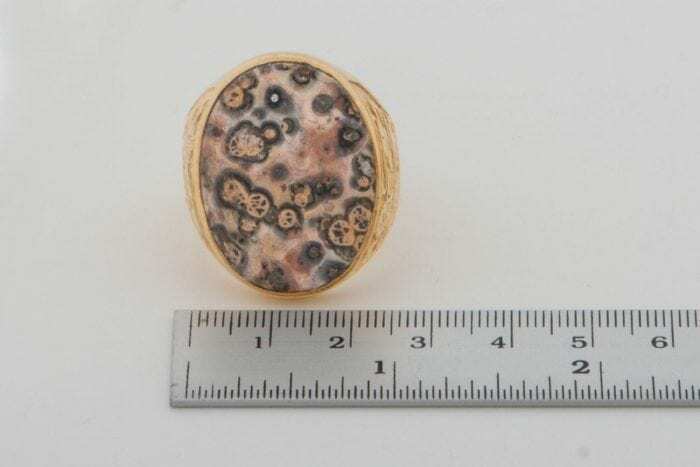 The jasper leopard spot oval is 29 x 22 mm (1 1/8 x 7/8 inch) one of our large heraldic sized rings.